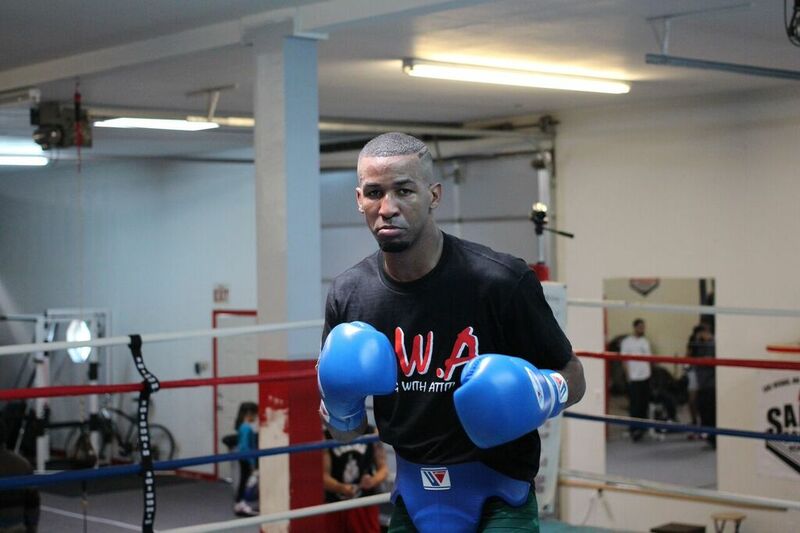 Unbeaten two-division world champion Rances Barthelemy worked out for Las Vegas media Thursday as he prepares for his rematch against Kiryl Relikh for the vacant WBA Super Lightweight World Title Saturday, March 10 live on SHOWTIME from Freeman Coliseum in San Antonio and presented by Premier Boxing Champions. The SHOWTIME CHAMPIONSHIP BOXING telecast is headlined by a showdown between three-division world champion Mikey Garcia and unbeaten IBF 140-pound champion Sergey Lipinets. “It’s in my character to take this rematch immediately. I was very happy once I found out everything was ready to go for it. I want to prove to the fans and to myself that I can do much better than I did in May. I want to show Relikh how much better I am than him. “It’s on my mind all the time that I have a chance to make history for Cuban boxing. There have been so many great Cuban fighters throughout the years. I never imagined I’d be in position to make history myself but I know it’s a reward for my hard work and dedication. “A fight with Mikey Garcia is something I want. I’m completely focused on this fight against Relikh and making history, but I would be prepared to fight Mikey Garcia soon. “I’m going to change a lot heading into the rematch. Last May I wasn’t myself. I didn’t feel like I had my legs coming into the fight and I wasn’t able to perform how I usually do. This time my conditioning and nutrition is much improved. I’m going to use my legs and use my jab and put on a boxing clinic. “There was nothing surprising about Relikh in the first fight. We knew he’d have power, but unfortunately I had to change my game plan when my body wasn’t cooperating. I traded shots and fought his fight. I’m going to stick to my plan this time.